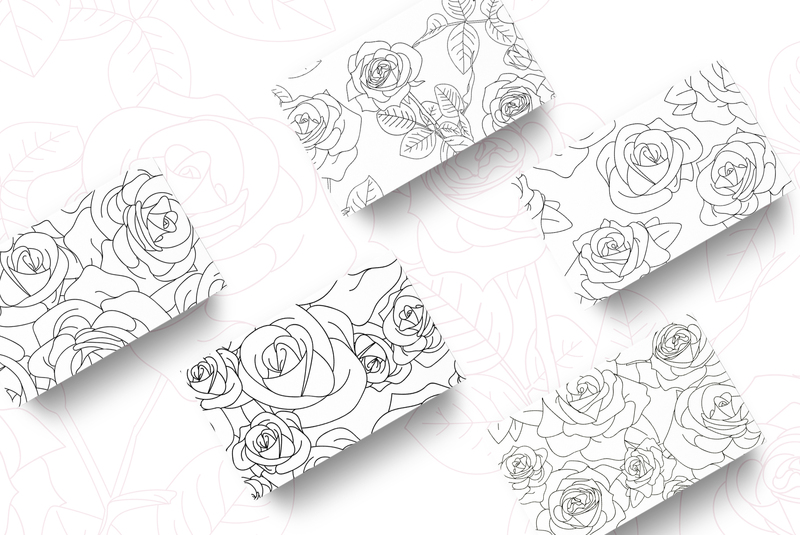 This Romantic Rose Pattern Pack set is a pack of 5 minimal digital papers in a vector and bitmap form. Again I have to mention, that these 5 high-resolution seamless and tileable patterns are perfect for large-scale designs. 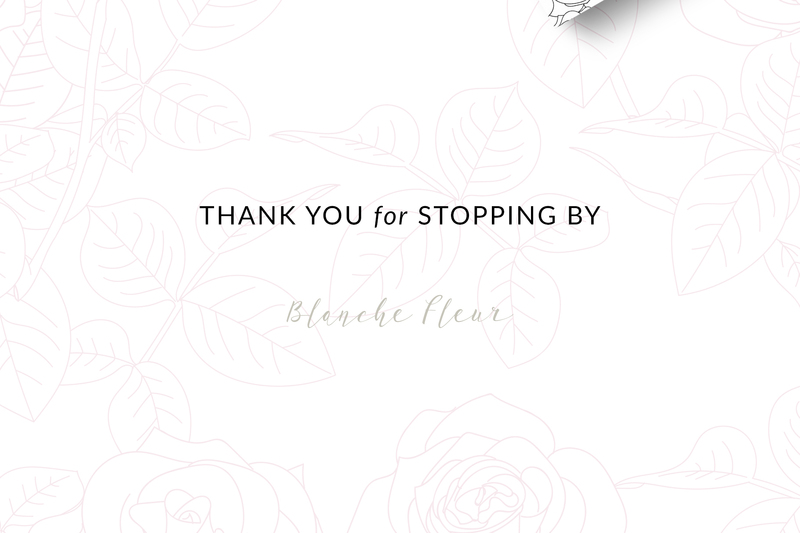 I handcrafted all the Rose digital papers with illustrations, in a vector file format. This Romantic Rose Pattern Pack is versatile and you can use it as a wedding invitation background, wedding favors products background, in wedding stationary and why not in DIY crafting and textile design. 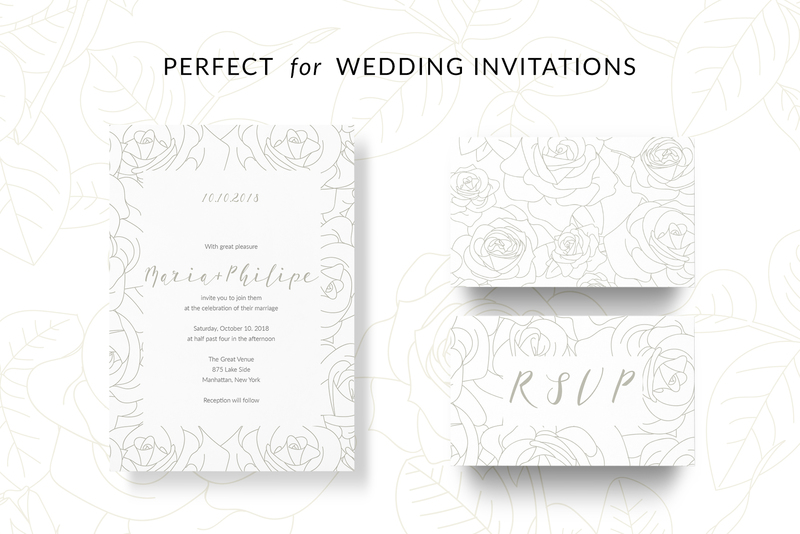 With this minimal-style patterns, you can make romantic graphics on the spot. Also, you can change the color palette of this pattern set as you like. Romantic Rose Pattern Pack is made from 100% vector shapes (resizable). All vectors are created in CMYK color format. 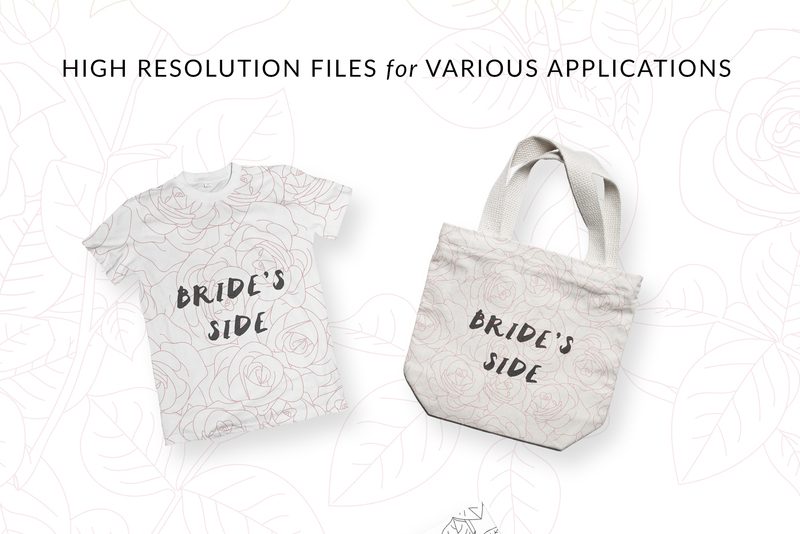 With a variety of file types such as EPS, SVG or PNG this vector pack is ready to use. To sum up, all files are seamlessly tileable and editable due to vector format of the files.